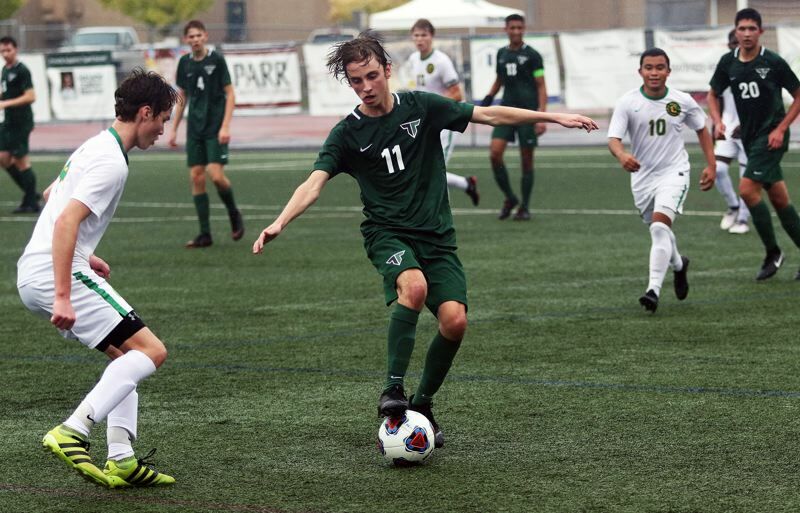 TIGARD — The Tigard High School boys soccer team was hoping to get off to a fast start to postseason play. Well, the Tigers accomplished that goal — in more ways than one. 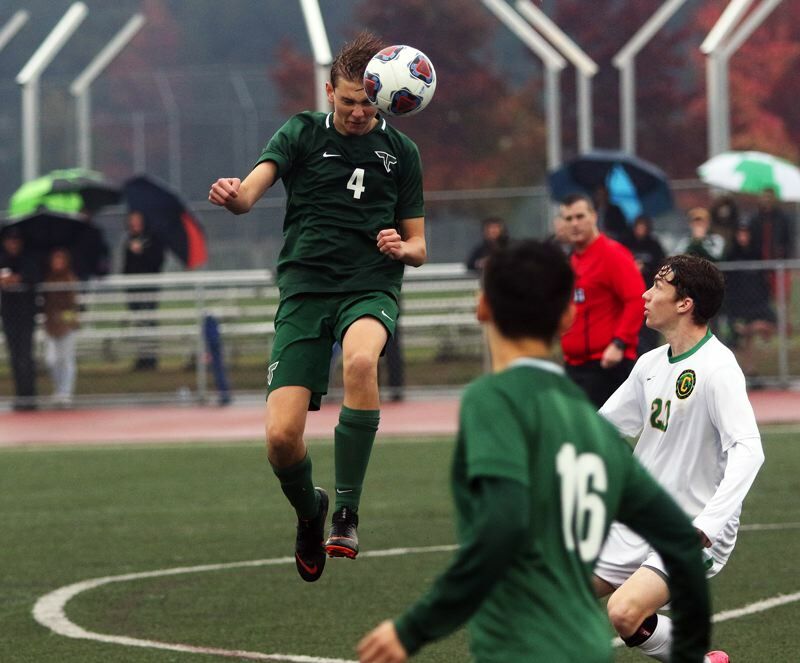 Tigard, scoring in the first minute of play, went on to get a 2-1 win over Cleveland in a Class 6A state playoff first-round match played Saturday at Tigard High School. 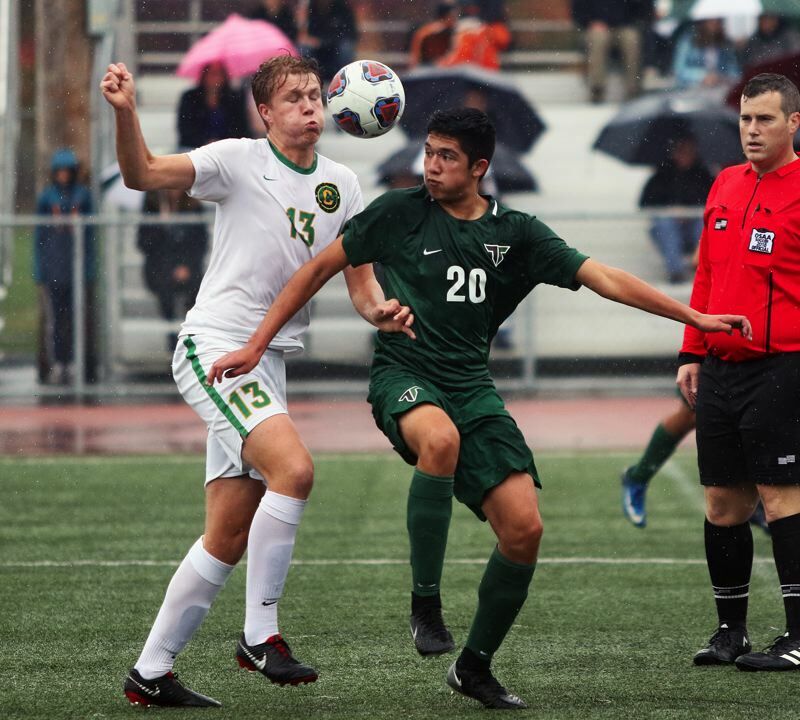 "Man, this was great to know that we can compete with teams that are out of our league," said Tigard senior defender Sajjad Al-Rikabi, who scored the Tigers' second goal off a corner kick. "It's amazing to win the first game. It was a great start." "This was a really big game for us, and it gave us some good momentum going into Jesuit," Tigard junior forward Jacob Theodoroff said. "It was a good first match. The rain wasn't too bad. We played well and it was a lot of fun." With the loss, Cleveland, the No. 4 team out of the Portland Interscholastic League, and the No. 28 team in the final OSAA power rankings, finished its season with a final overall record of 6-8-1. Tigard, the Three Rivers League champion, and the No. 5 team in the power rankings, improved to 12-1-2 on the season. The Tigers also advance to the second round of the state playoffs, where they'll host Jesuit in a match set to start at 7 p.m. Tuesday at Tigard High School. The Tigers got off to a roaring start to Saturday's state playoff opener, taking a quick 1-0 lead when senior Oscar Jacinto scored off an assist by sophomore Jack Hallam coming just 38 seconds into the contest. "It really set the tone for us," Theodoroff said. "It set a good, positive vibe right off the bat, and we really fed off of that." "That was great," Al-Rikabi said. "It could have gone bad, or good, after that. We could have felt that this was too easy, but we kept the same intensity and kept it up the whole match." Tigard got shots on goal from junior Ivan Orozco, Al-Rikabi and Jacinto later in the first half, but the Tigers went to halftime still holding just the 1-0 advantage. Tigard was intent on adding to its lead early in the second half. Hallam had a shot on goal just 45 seconds into the period, but Cleveland senior goalkeeper Ben Harding made the save on the attempt. 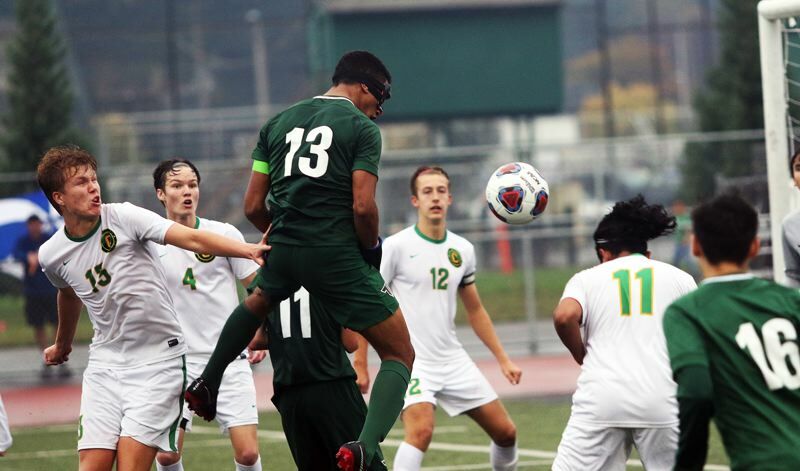 Then, with 35:44 left to play, Al-Rikabi, wearing a mask reminiscent of one worn by comic book super hero the Green Hornet, to protect a broken nose, went up high to put a close-range header shot into the net, coming off a corner kick by Jacinto, to up the Tigard lead to 2-0. "I got up in the air and felt it. It felt great," Al-Rikabi said with a smile. "I just wanted to help out my team however possible. Since I'm in the back, I don't really get the chance for scoring, but getting my third goal of the season felt amazing. Oscar had an amazing assist." Cleveland answered back. The Warriors, getting a breakaway goal by junior forward Harrison Ritter-West, cut the Tigard lead to 2-1 with 32:42 remaining in the match. But the Tigers wouldn't let Cleveland get any closer. Tigard, keeping the intensity up, got a header shot on goal by Theodoroff, with Harding making a diving save with 28:50 left to play. Orozco and senior Aaron Padarath also had shots on goal for the Tigers. Cleveland got shots on goal from senior Saw Chan and junior Aiden Burns in the final 20 minutes, with Tigard junior goalkeeper Jackson Cleaver making the save on both of those attempts, preserving the 2-1 postseason win for the Tigers. "We came out strong and controlled the game," Al-Rikabi said. "I think we could have scored three, four or five goals. It was great defense. We had just one mistake." "We had the right mindset going into it, and we played hard the whole entire time," Theodoroff said. "We've been working on the connection, getting the defense to work with the midfield, and that showed today." Jesuit, the No. 2 team out of the Metro League, and the No. 12 team in the power rankings, brings a 9-3-3 record into Tuesday's second round game. The winner of Tuesday's match at Tigard will face either Sunset or Grant in a state playoff quarterfinal match on Saturday.